Photo courtesy of Second Chances by Susan - Tutorials. 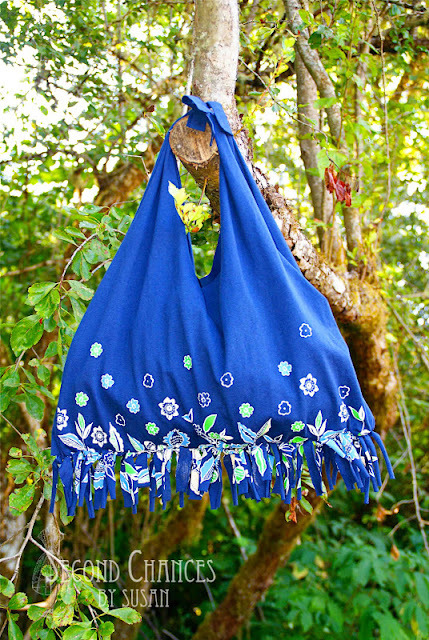 This is a tutorial using old t-shirts that the campers brought from home and up-cycled into this no sew tote. Check out Susan over at Second Chances by Susan - Tutorials for this no sew T-Shirt Tote.